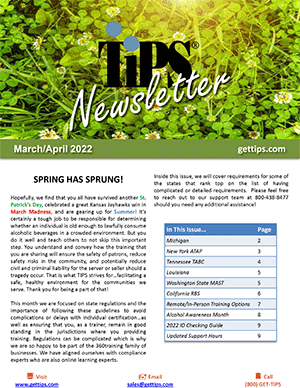 TIPS news, updates, monthly trainer spotlight, icebreakers, training tips, and much more. We're sorry, your browser does not support this listing. News articles about the TIPS program. Official statements and announcements about the TIPS program. Learn more about how TIPS is proven effective by third-party studies.